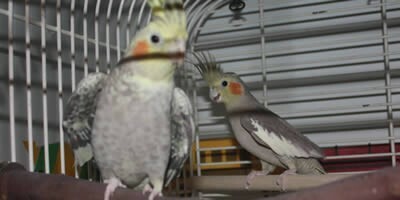 Northeast Avian Rescue is currently inundated with cockatiels! 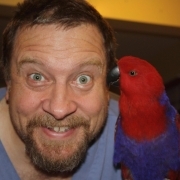 Most of these birds are relatively feral, with some being quite wild and unsocialized. 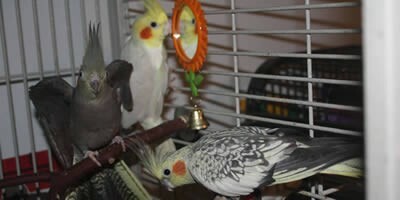 Our adoption guidelines for cockatiels are a little bit different than some of the other birds we re-home. Because cockatiels are flock birds and also because they often come in and/or are housed with other birds while at the rescue, we believe it is important to ensure that our 'tiels do not end up alone, without other bird company, after they leave NEAR. 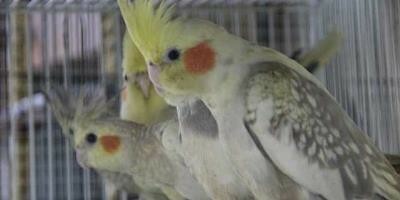 For that reason, our policy on cockatiels is to either adopt them out as pairs (or more), or as singles to homes where there is at least one other cockatiel. 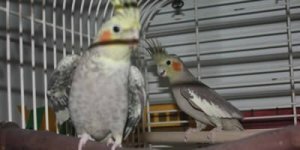 While we do realize that our adopters will take wonderful care of their new cockatiel, we also want to make sure that the bird is able to maximize its "quality of life" once it leaves our care. During the process, adoption representatives will be happy to discuss various ways your cockatiels can be socialized with humans while still retaining their socialization (bond) with other birds... Before you know it, you'll be one big, happy family! I'm interested in a pair of boys. where do you go to adopt them? I would like to adopt female cocktail. Right now I have male Cocktail. Very friendly, healthy and we want to get female for him. Please let me know thank you.